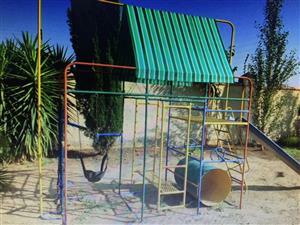 I have a kids jungle gym for sale. 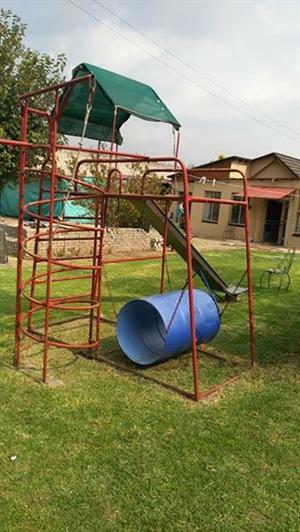 It has new paint, new shade roof, nice long slide. 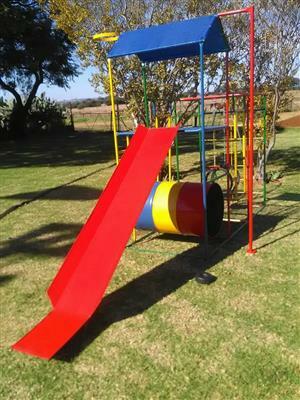 Jumbo Jungle gym: Was R 6 500. 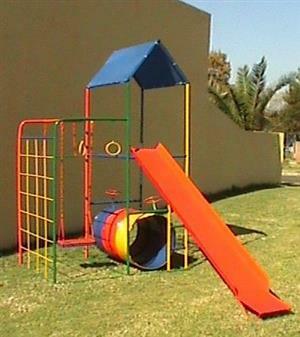 Now only R 4 550. You save R 1 950. PRODUCT DETAILS: For Ages: 18months - 10 years. 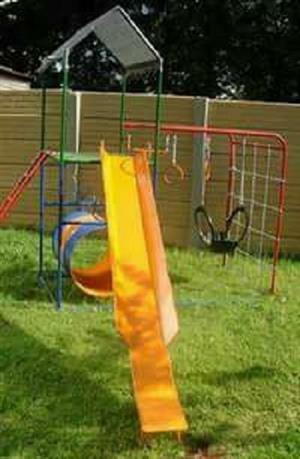 (approx) Size: L 2.3m x W 1m x H 2.3m (approx) Consisting of: 1 slide (approx 2.